The only way to succeed as a property investor is to stay curious and keep learning. But when it comes to your property investing education you need to be careful. There’s a plethora of opinions in the newspapers and evening news these days. And opinions are just that – opinions. Too often those opinions aren’t backed up with facts. So how can you tell the reliable sources of information from the poisonous ones? That’s why I’m sharing with you today my favourite sources of news, education, and current events. These are the same resources that I use every day for my own business to stay informed and make better, more educated decisions about my own property investing. Needless to say, I find these resources far more reliable than so-called “experts” on TV! Jane Slack-Smith has plenty of runs on the board when it comes to finding great deals, adding value and buying in outstanding areas. Jane is a published author, an award winning mortgage broker, a sought after media commentator for many high profile publications. I’ve got Jane at the top of the list not only for her prowess as a property investor but because she just started a brand spanking new podcast. Jane has a great interviewing style and manages to extract quality information from her guests by having them answer questions every property investor wants to hear. I’m so glad to see Jane Slack-Smith in the podcasting world as she has plenty to share. You’ll see Kaz’s interviews come out each month and it’s always entertaining and informative to hear Kaz gather an abundance of interesting fact and opinion from her guests. There are over 100 recordings available now so there’s something for everyone! You can’t go past Steve McKnight when it comes to successful property investing. Steve has stood the test of time and manages to evolve his investing at every twist and turn in the property market. Steve’s blogs are not as regular as some but they are always topical, insightful and has quality information without the fluff. Steve’s predictions of the Australian property market and global influences are always spot on so whenever Steve releases a blog I drop everything to have a good read. REI is already a powerhouse in the property market providing massive amounts of quality data to investors all over the country. Information and data is their thing and when it comes to their free blog, REI have got it nailed. Almost daily, subscribers get access to relevant news items, market movements, tips to optimise your portfolio and strategies to help find property sites with value adding potential. Kevin has been on the airwaves for decades and knows how to present an audio show that is succinct, informative and provides clear tips and insights for property investors of all skill levels. He has built a huge database of listeners and for good reason. 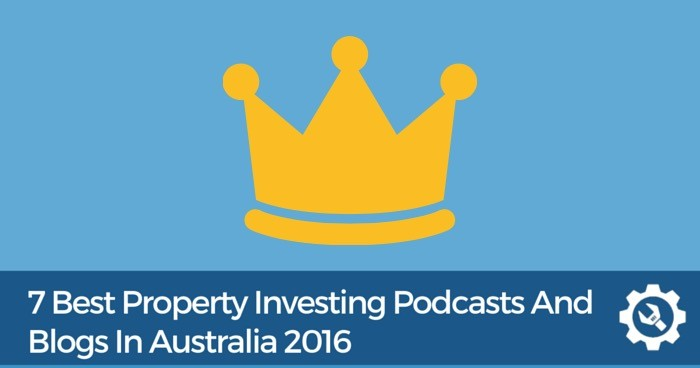 Subscribe to Kevin’s podcast and you’ll have access to an abundance of short, sharp interviews with property experts and everyday property investors making serious profits in the current market. Terry is the ‘go to man’ for all things relevant to property research. His reports, newsletters and news feeds have gone from strength to strength over the years and is now a highly sought after media commentator. Terry is known for providing real data that is factual and backed up with real, on the ground research. You might have even seen Terry travelling the countryside in his van gathering quality insights to share with his database. I love how Terry is always calling the speculators and so called media commentators on their facts and opinions. If you want to learn what’s hot in your area, don’t buy a newspaper, subscribe to one of Terry’s very popular reports. I couldn’t leave my own blog of this list! I’m a big believer in consistency and over the past 9 months we’ve been consistently publishing weekly blog posts packed with tips, insights, strategies, market reports, interviews and video presentations for property investors across the country. I might sound a little biased but if you’re a property investor of any skill level, you need to be part of the Property Resource Shop community. And if it’s your first time here, why not check out our getting started guide? So what are your favourite resources? Leave a comment below and let me know what should be added to the list! Matt, how could you leave off the Property Developer Podcast?!? Very helpful resource. Thanks for sharing. Thanks Matt for provide us the list of podcasts blog. Great list and thanks for sharing! This is very helpful for both new and experienced investors. These lists of blogs and podcasts are very informative and knowledgeable for sound investment decisions. Thanks for sharing. Great blog! Very Helpful and informative , a great heads up !